It’s design is in parallel to that of most Apple products including the Mac Mini which makes the NuStand fit seamlessly in to your setup. You can simply slot your 2010-2012 Mac Mini into the stand and have it propped up like a computer tower. This allows you to keep the Mac Mini in tighter spaces and on display, rather than hiding it on a shelf or under your desk. Overall, I am very impressed with the NuStand Alloy from Newertech. It’s simply and requires absolutely nothing to get started. You just simply need to slot your Mac in and you’re ready to go. 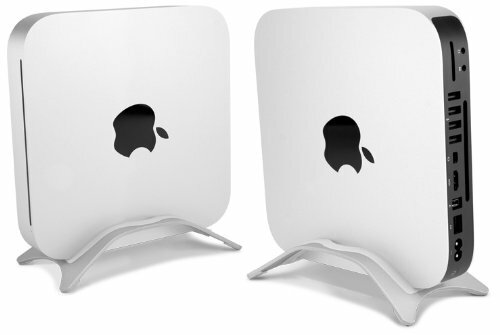 It’s lightweight but incredibly strong thanks to it’s alloy construction; which not only compliments the design of your Mac Mini but is built to outlast your machine too.